I will always treat you with complete respect, I am honored to live out my passion everyday, and I will be mindful of your unique event ideas, vision, expectations and time. I care about your event. I will have a have a personal stake in your events success. I understand the impact outstanding entertainment services can make and will ensure to give you my very best at your event. I will make myself available to you throughout your entire planning process. In additon to having access to my office support team, I will provide you with my personal cellular phone number, Skype ID, and add you to my Facebook. 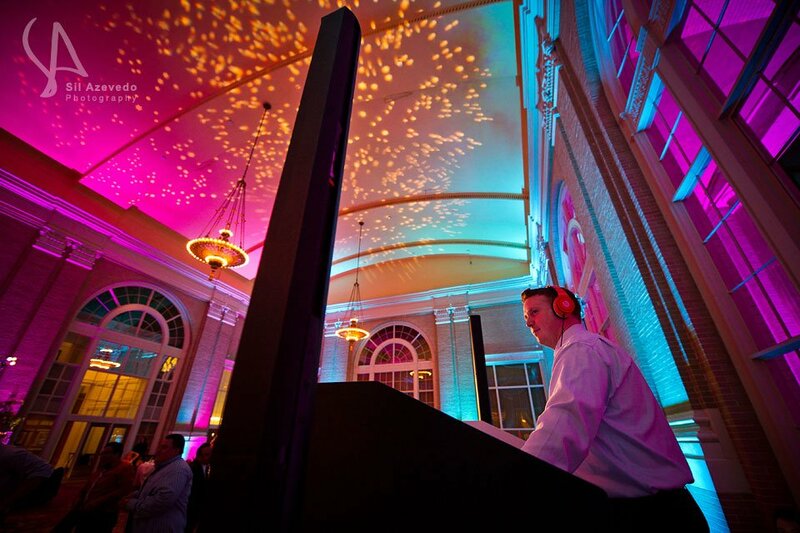 I believe your wedding entertainment should be personalized and not cookie-cutter or generic. I will work one on one with you to develop a customized and unique entertainment approach that reflects your tastes, ideas and desires. I do not rely on line dances or using outdated “cheesy” DJ techniques to get your party started. I am creative and adapt my style to your crowd or the type of entertainment you want at your affair… We are not limited to playing premixed cds or playing the same set of songs at every celebration. Every event is unique and entirely customized from the first beat to the last song. I only utilize the very best sound, lighting and video equipment available. My presentation and sound quality is far beyond the average and matched by few in the Texas. I am fully insured and a full time entertainment professional. I work very hard to ensure I address every detail for your special event, including the correct song selections (likes and dis-likes), formalities, and all other particulars… as a client you will find out that our attention to detail is unmatched. I am not obnoxious on the microphone and I do not talk between every song. I believe in tasteful audience participation and I will not overwhelm your guests with endless or unnecessary DJ microphone chatter. It’s your celebration and I will never take the spotlight from you. I invite you to check out what some of my past clients have to say about me on Wedding Wire and The Knot.